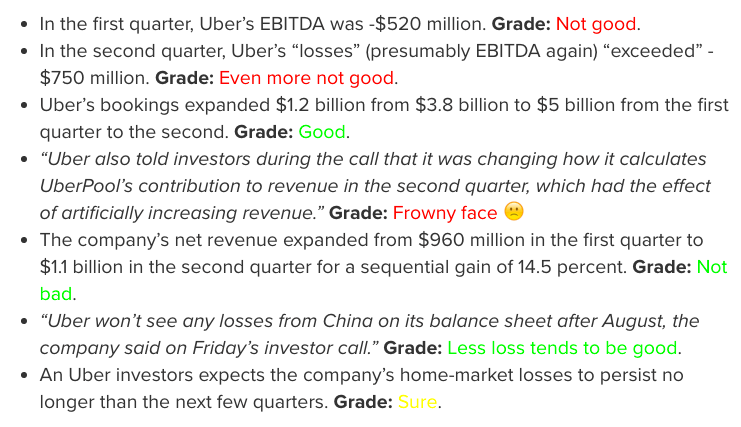 Editor’s Morning Note: New notes from Uber’s CEO shed fresh light on Uber’s financial situation. TechCrunch’s Matthew Lynley recently reported new corporate disclosures from Uber’s CEO, with the executive describing both a rate of driver income and an active monthly rider tally. As IPO rumors continue to trail Uber, the company is letting slip small pieces of performance results to the general public. Strategic disclosures of that sort for company of Uber’s scale are not rare or surprising. Let’s examine what was said, and how it fits into what we previously knew about the world’s most valuable startup. The driver income number is super interesting, of course, and helps us better understand a few things about the company. $1.5 billion, 20 percent Uber cut: $1.875 billion last-month gross platform spend. $1.5 billion, 25 percent Uber cut: $2 billion last-month gross platform spend. $2 billion, 20 percent Uber cut: $2.5 billion last-month gross platform spend. $2 billion, 25 percent Uber cut: $2.66 billion last-month gross platform spend. 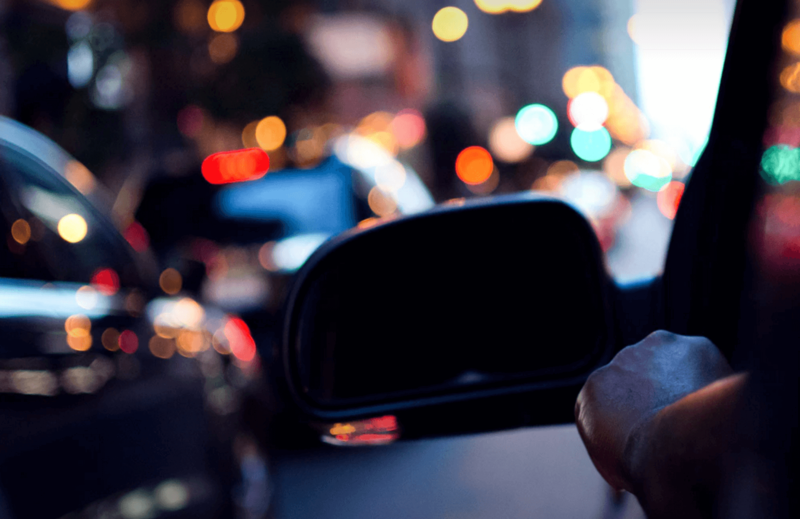 Those figures imply that Uber wrapped up its last month and quarter on a forward gross platform run rate of between $22.5 billion and $31.92 billion. The latter number is a solid 41.87 percent higher than the preceding entry, for scale. How does that compare to what the numbers we knew before? A brilliant question and smooth segue. Let’s find out. Retreating back to August, Mattermark published an article diving into the amalgamated knowledge of Uber’s financials outside the company. The company’s new gross result, from up $3.8 billion to $5 billion details the growth that Uber has currently posted. On a quarterly basis that works out to $6.75 billion in gross spend, a dramatic increase on the growth pace set from the first quarter to the second. The $6.75 billion figures sounds and feels high. As such, I’d take away from this that our current methods are too generous somewhere; a cause for reflection as it implies a running poverty in our understanding of the firm’s finances. Regardless, I cannot find a way to read the new Uber numbers—unadjusted for seasonality, and month-to-month fluctuations, etc—that does not imply quick growth. Even using our most conservative gross spend result, $1.875 billion, Uber grew 12.5 percent on a sequential quarter basis in the third. And the gap between our gross platform figures and Uber’s driver payouts? Hello, net revenue. In the last month of the third quarter, at the highest end of our figures, Uber’s implied revenue result is impressive. Now get the losses under control and go public, Uber. Enough of all this guessing. We’re sculpting with axes, yes, but that figure is the midpoint between our second and third bullet points from above, which provided gross platform spend figures of $2 billion and $2.5 billion.